"With many years of experience in the transportation services industry, we provide our clients with professional, elegant, sophisticated, grand and stylish transportation services for all occasions. Whether its to the airport, traditional parties, corporate functions, sporting events or even date night, we are here to serve." Welcome to the city's premiere transportation services company. If you are looking to impress clients, travel in style or treat staff members to luxury, our company is the way to go. Airport Shuttle Houston is what we specialize in. Houston Hobby (HOU), Bush Intercontinental (IAH) or one of the many private airports, we have you covered. Here are some of the reasons why we are the best in the business today! 1. Our services are top notch. We are the best in the business at providing undefeated value to our happy clients. Check our testimonials page for more information! 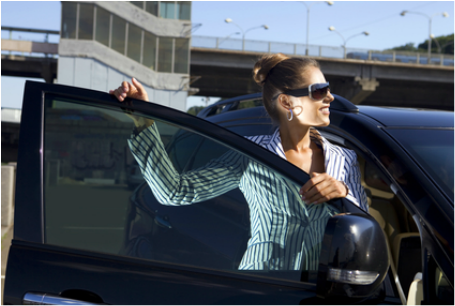 Professional, punctual and polite, our drivers will do whatever we can to pamper you on your ride, wherever it is you are going. Bask in the 'Wolf of Wall Street' treatment that has impressed many clientele in the past, and will only continue to please. 2. Our limousines are world class. Nothing oozes 'class' more than a fully pimped out stretch limo! We want all our clients in Houston to feel special whenever they hire us. Our fleet is extremely well maintained, high end and designed to make you feel important, whatever the occasion might be for you. 3. Our service is interpersonal. For some people, booking a personal transport isn't just about the quality service, it's about the entire emotional experience. At our company, we fully understand this and have done plenty to ease any uncertainty you might be having, especially if this is your very first limousine ride with us. Our team is always available to answer your questions, and rest assured that you are in superb hands. 4. Our service is on time. Nothing ruins the experience more than a transportation service that is running late, especially if you are getting to the airport. We are big on punctuality, and will do whatever we can to get to your destination on time, whatever the traffic situation might be. We will take into account rush hour traffic into our schedules and arrive early to avoid unpleasant surprises. We strive to be on time, all the time and will give you early notice in case delays are unavoidable and unexpected. 5. Our drivers are very flexible. We have not met a schedule that we couldn't handle just yet! Our team are experts in the business of time management and. We will work with you well in advance, no matter the occasion of your needs in order to get you to your destination on time. If your occasion is good enough to deserve a limousine hire, you don't want to leave this up to chance! 6. Our cars are fantastically maintained. We treat our limos as well as we treat our clients. You will never get a strange smelling ride when you hire one of us! Our cars are cleaned meticulously after every event and will leave you feeling like you have gotten the time of your life - even if it is just a simple pick-up from the airport. 7. Our staff are experienced. With many years in the high-end transportation industry, we have been providing style, simplicity and sophistication to a fantastic customer base for many years now. We know what we are doing! Your transport experience will be handled by the best in the business. 8. Our prices are very competitive. For the level of service that we provide you with, our prices might shock you. We provide extremely competitive pricing, but attach world class customer service with it. This is something that we are extremely proud of. All of our staff members have been trained in the art of providing world class support to our clients, and this is reflected in the work we do. 9. Most of all, we love our business! Whenever you give us a call to discuss a transport hire, you will be speaking to people who truly take a personal interest in you. Whether you need corporate services for your company, or a simple airport pickup after a long holiday abroad, our enthusiasm and passion will cross over into our dedication to service you. A reliable, professional and stylish transportation service - that is what we have built up over the years! One of our most requested service is airport rides, and we take pride in serving the variety of people with interesting backgrounds that come to this city. We provide a 24/7 service so do not hesitate to call us and we will take care of you promptly. What are you waiting for? Give us a ring soon, because you deserve service from the best in the transportation business in Houston.